The mission of the FEARLESS FOUNDATION is to shine a light on the darkness that is child sexual abuse and to enrich the lives of survivors through education and sport, leading survivors to mastery and enabling them to flourish in all aspects of life. The FOUNDATION is currently at work on an educational tool to help survivors understand that they are not alone and to empower them with the strength to come forward and seek the help that is available. It is also designed to educate the general public as to the common warning signs of child sexual abuse. The FOUNDATION is also designing a health and wellness program using judo to help survivors achieve physical strength and fitness as well as the emotional strength and fitness that comes from increased self-confidence and mastery. We are excited about these initiatives and will be providing more detail as we progress. We also hope that you will help us achieve our goals. To find out more, please contact Kayla using the CONTACT page on this site. Kayla Harrison began training in judo at age 6 and is the first American ever to win an Olympic gold medal in the sport, which she did in both 2012 and 2016. Yet her competitive success masked an unimaginable personal struggle. At the age of 16, she revealed that she had been sexually abused by her coach for years. 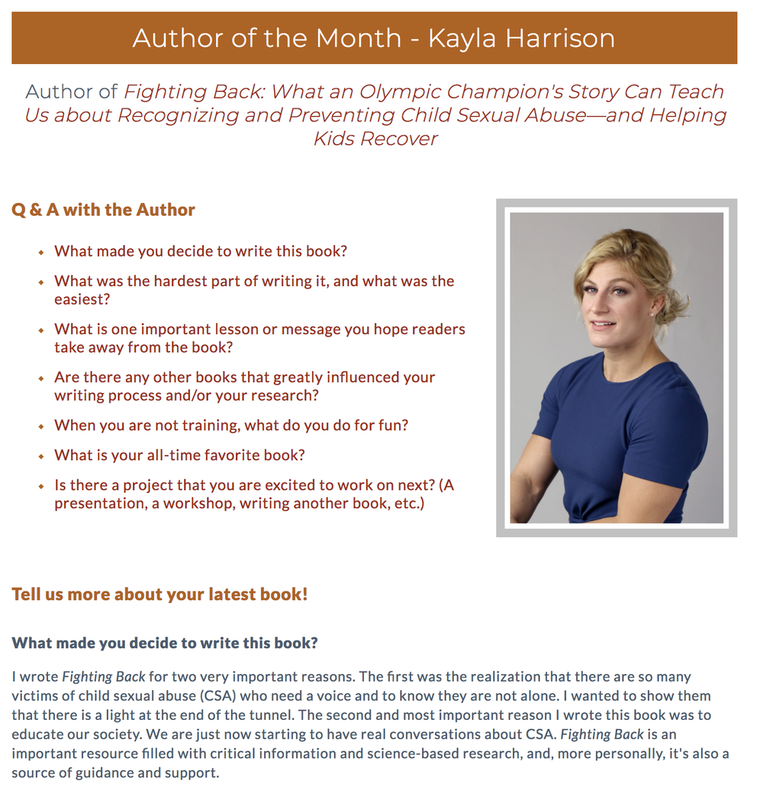 Today, Kayla uses her gold medal profile, voice, and example, as well as her Fearless Foundation, to encourage and empower other survivors of child sexual abuse. Now retired from competing in judo, Kayla is moving into mixed martial arts with the Professional Fighters League. She lives and trains in Boston. Cynthia S. Kaplan, PhD, is a faculty member at Harvard Medical School and Director of Trauma Training and Consultation in the Simches Division of Child and Adolescent Psychiatry at McLean Hospital. 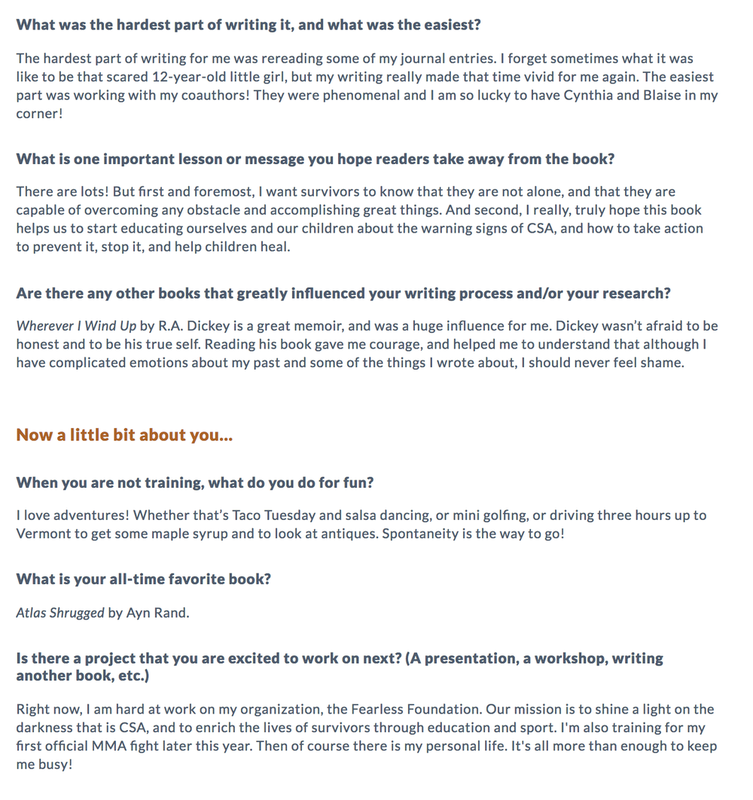 She has worked with numerous survivors of child sexual abuse and is coauthor of Helping Your Troubled Teen. Blaise Aguirre, MD, is a faculty member at Harvard Medical School and Medical Director of the 3East Dialectical Behavior Therapy program at McLean Hospital. He treats many adolescents who have been sexually abused and is author of Borderline Personality Disorder in Adolescents: What To Do When Your Teen Has BPD.